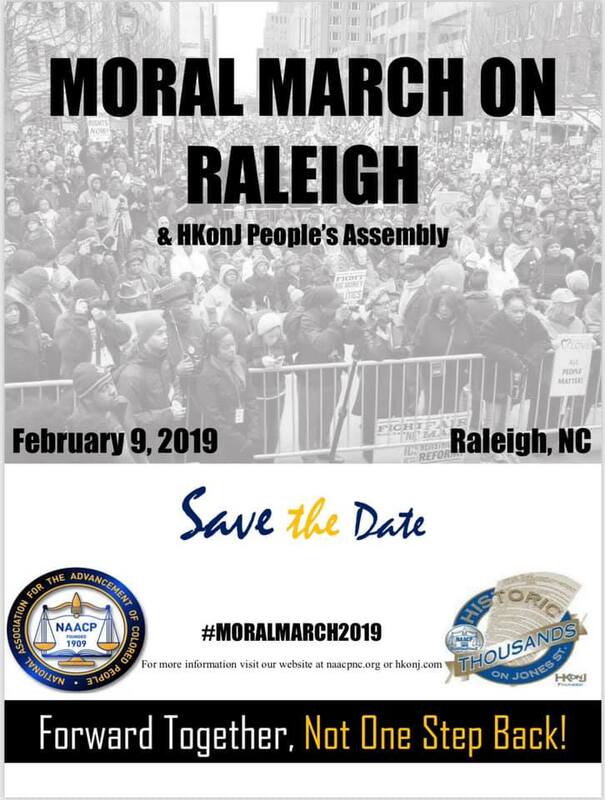 On Saturday, February 9th, El Pueblo will join the North Carolina NAACP and more than 200 coalition partners in downtown Raleigh for the annual Historic Thousands on Jones Street (HKonJ) Moral March. Don’t miss out on this opportunity to march for freedom, equality, and hope. We will meet in front of Marbles Kids’ Museum at 8:00 am (201 E. Hargett Street). We will gather and march together beginning at 10:00 am. You can contact Mike via email or call him at 919-835-1525 ext. 105 for more information.